Our new modern showroom has a new door gallery showing a varied range of composite door options from contempory to ultra modern designs. We also have opened our new window showroom where we have on display brand new window colour options available in this ever changing market. Outside we also have our conservatory village where you can see various shapes sizes and roof options available. Please visit our modern showroom to see how we could improve the look of your existing house. Contact us now for a discussion or please come and visit us. 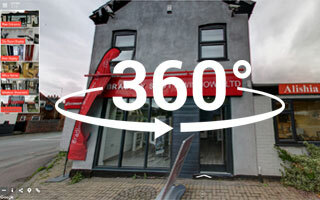 Please click on the images of our modern showroom in Tamworth, Staffs.